Inbound is one of the most innovative and creative marketing strategies in practice, but it can be complex, especially when it comes to the creation and execution of an effective plan. Implementing an inbound marketing strategy can be a big learning curve for marketing departments that are new to inbound marketing or already stretched too thin with regular business functions. Case studies have shown that hiring an inbound marketing agency can deliver results and achieve ROI faster than internal marketing efforts. They have the experience, training, certifications, and manpower to take on the methodology components. Inbound is a practice that includes content creation, search engine optimization, lead generation, and social media monitoring. What will a team of inbound marketing professionals do to amp up your company’s marketing efforts and relieve some of your digital marketing frustrations? Because so much of inbound marketing revolves around websites and digital content, inbound marketing agencies turn to the most advanced digital marketing tools and resources to assist their clients. With the help of digital tools, an inbound marketing agency can help you optimize your online presence, increase your website’s search engine ranking, and collect valuable data. Once you have the data, you can analyze what is and isn’t working to build on your strategy. An agency can provide support when needed and also train your staff to use some of the basic features of these marketing tools. 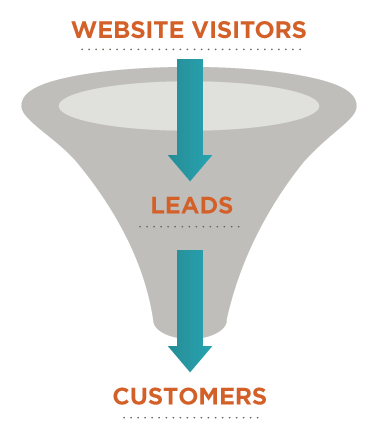 Your website may generate traffic each month, but where are these visitors in relation to your sales funnel? Instead of focusing your marketing efforts on attracting a large number of leads to your website, you should focus on attracting the right kinds of leads. An inbound marketing agency can be extremely beneficial in this area. The agency can focus your lead generation so that they target the leads you want to attract. With the use of buyer persona research, keyword analysis, blogging, and regular monitoring of your web page analytics, they identify what kind of content appeals to your most profitable leads so that they look to you when they want to buy. Creating unique content around your company’s area of expertise is a great way to increase your online visibility and drive traffic to your website, but achieving desirable results doesn’t just happen overnight. Ample time and research are necessary to be able to produce unique and relevant content. An inbound marketing agency, however, can speed up the process by creating content that has your specific buyer personas in mind. Content can include articles, white papers, and how-to guides available for customers to download from your website. In turn, you will gain customers’ contact information. An agency can also create content that shows up in search results and provides answers to the questions your prospects and leads are asking. It’s hard to justify money spent on a marketing plan that you can’t even tell is working. Should you continue spending the money or scrap the strategy altogether? Inbound marketing agencies can provide your business with measureable feedback by tracking website visitors, their click actions, keywords ranking, and social media buzz, allowing you to see the precise effects of your marketing strategy. With the use of marketing automation software, inbound marketing agencies can even track landing page views, email click-through rates, form submissions, and performance data. If you’re like most companies, your attention is constantly being pulled in multiple directions and your marketing team is stretched thin. You would be lucky to have a single person develop and execute an inbound marketing strategy, let alone a whole team of people. By hiring an inbound marketing agency, you and your staff can do what they do best, leaving the lead generation and content creation to niche inbound experts. Your main concern should be hiring an agency who is excited to help your business grow and is as committed to your success as you are. To conclude, hiring an inbound marketing agency will ensure that your company or organization will get the most out of the inbound marketing methodology without having to sacrifice time spent on regular job functions. An agency can not only relieve some of your digital marketing frustrations, it can transform your website into a lead-generating machine.